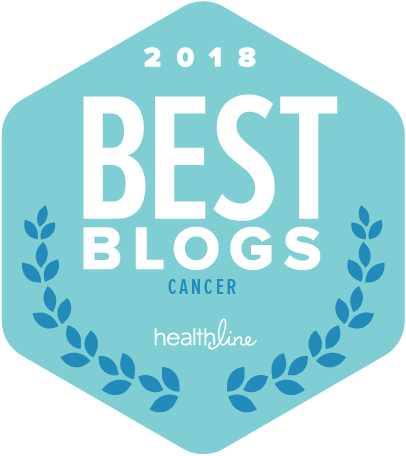 In this post I want to talk about ovarian cancer and the special issues it raises for the LGBT community. Ovarian cancer is not common but very dangerous. As The National LGBT Cancer Network notes, it makes up "only about 4%" of cancer in women, but is "the fourth leading cause of cancer death for people with ovaries." In 2009, the American Cancer Society reported 21,550 new cases in the U.S. and 14,600 deaths. The reason so many die is that diagnosis is difficult: symptoms are often not recognized; most people are diagnosed late, after the cancer has spread. Breast cancer increases a woman's risk for developing ovarian cancer, and LGBT folks who have had breast cancer need to be especially proactive – not because of any innate extra risk, but because we are less likely, as a group, to benefit from known factors that reduce risk. For example, studies show that women who have given birth and/or taken birth control pills have significantly lower risk of developing ovarian cancer. The theory is that the less a woman ovulates, the lower her risk of being diagnosed with ovarian cancer. As a group, lesbians are less like to have children, and when we do, we don't have many; statistically, each pregnancy further lowers risk. We are also less likely to take or to ever have taken hormonal contraceptives. Another ovarian cancer risk is being overweight or obese. There seems to be a consensus that lesbians tend to have a higher body mass index than heterosexual women – hence more likely to be overweight. There is conflicting data on this (lesbians are a woefully understudied group! ), in part because of the startling rise of obesity in America as a whole. Nevertheless, weight is a factor. Finally, for a variety of reasons – among them, too many LBGT people don't have health insurance – we often skip "healthy" check-ups. According to the Mautner Project, a lesbian health advocacy group, "Because lesbians do not usually need contraceptives, they tend to wait longer between Pap smears and general gynecological exams." Those "general gynecological exams" are an essential part of diagnosing ovarian cancer. Next we need to know the symptoms – which aren't exactly clear cut. Symptoms include: bloating, pelvic or abdominal pain, difficulty eating or feeling full too quickly, and urinary symptoms (urgency or frequency). Screening: There is no consensus regarding ovarian cancer screening guidelines in anyone, probably because there is no single, routinely reliable way to detect it. At the very least, it's crucial for every person with ovaries – including lesbians, bisexual women, and transgender men who have not had their ovaries removed – to have a comprehensive gynecological pelvic exam each year. The annual gynecological exam should include both the speculum exam and the bimanual exam (which is having your medical provider actually feel your ovaries and uterus for abnormalities). FTMs should be especially aware of the need for gynelogical exams. The Mautner Project explains: "Taking testosterone may increase the risk of ovarian cancer if the level exceeds the person's receptor capacity and is converted into estrogen. (This is especially significant for those people obtaining hormones from unlicensed sources, not from a medical provider.)" The CA-125 blood test: If you have concerns about ovarian cancer, this can be a first step. It calculates increased levels in the blood of a certain protein, or cancer antigen, often associated with ovarian cancer. This test in and of itself is far from conclusive: inflammation can also raise CA-125. Still, it's an indicator to consider in context with other test results. Ultrasound: A transvaginal ultrasound, done through the vaginal wall, can screen ovaries if a patient is experiencing some of the possible symptoms of ovarian cancer. The HEU blood test: According to the National LGBT Cancer Network (a great resource for us), this is still being studied but it may be the best, when available, especially in combination with the CA-125 screen. Next post: Tips on finding culturally competent medical care. Mimi has worked as a consulting LGBT Outreach Coordinator for SHARE. She is also a singer/songwriter/actress and yoga teacher in NYC.